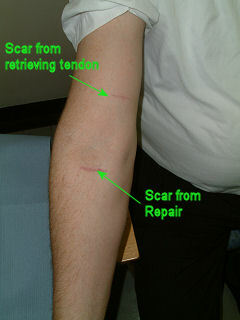 After the injury there is usually localised pain at the front of the elbow, with bruising and swelling. 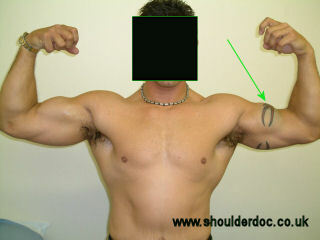 The biceps muscle may retract up the upper arm crating a prominent bump, known as the ‘Popeye’ sign. 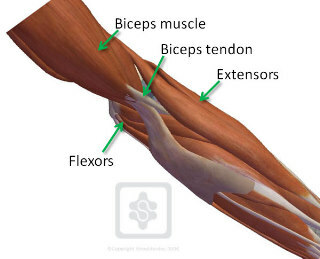 This is often visibly different to the other biceps when contracting the muscle. There are many different repair techniques. 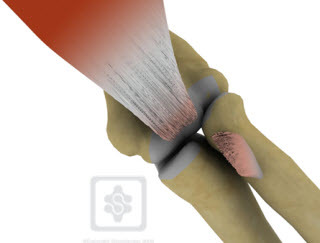 We favour a small (percutaneous) approach, reattaching the tendon down to the bone. The repair is strong and patients can start moving soon after the surgery. 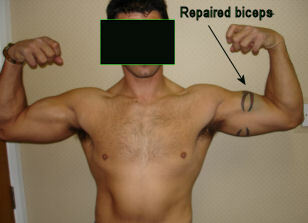 However lifting must be avoided for at least 6 weeks after surgery. Click here for more details .